2017 J-Pop Summit Announces "Arts, Eats and Innovations"
2016 J-Pop Summit Announces "Virtual Trip to Japan"
(New York, NY) – NHK, Japan’s sole independent public broadcaster, will bring NHK WORLD culinary and pop culture personalities to the 8th annual J-POP SUMMIT in San Francisco. J-POP SUMMIT 2016 takes place Saturday and Sunday, July 23rd and 24th at the historic Fort Mason Center located in San Francisco’s Marina district. Chef Tatsuo Saito and Yu Hayami of “Dining with the Chef,” Sebastian Masuda, art director of “Kawaii International” and Domo, the official mascot of NHK, who will appear with the J-POP idol group, Tokyo Performance Doll (TPD) to perform on-stage Domobics, will convene in San Francisco to participate in the two-day Japanese pop culture extravaganza. NHK WORLD is the all-English language channel of NHK and is available in Washington, D.C., New York City, Los Angeles, Chicago, Philadelphia, San Francisco, Seattle and Charlotte. Chef Saito and Yu Hayami, internationally-acclaimed singer and actress with deep passion for food, will introduce “JAPANESE FOOD,” NHK WORLD’s new website launching June 20. The website will include an array of recipes, tutorials, relevant articles and NHK WORLD program information for viewers to experience and try Japanese cooking at home. The duo will also demonstrate cutting technique of raw fish “Sashimi” and vegetables specific to Japanese cuisine preparation on the J-POP SUMMIT main stage. At the NHK WORLD booth #412, they will have a “Chef Saito’s Cook and Chat” show, demonstrating how to prepare an easy-to-make Japanese popular casual dish for U.S. home cooks. Sebastian Masuda is the art director of “Kawaii International,” NHK’s pop culture program that explores everything from Tokyo street fashion to art and design. He will welcome visitors to his “TIME AFTER TIME CAPSULE” workshop, which includes an interactive art installation in the shape of NHK mascot, Domo. Domo will accompany J-POP idol group, Tokyo Performance Doll (TPD) as they make their U.S. debut performing Domobics, a fun, rhythmic dance exercise. A prominent master of Japanese culinary arts around the world, Chef Tatsuo Saito has served as head chef at the Japanese embassies in Paris and Washington D.C. He also runs a cooking school in Tokyo, works in TV, magazines and on the lecture circuit, and is also a prolific author. In “Dining with the Chef,” Chef Saito takes audiences to the heart of Japanese cuisine through insightful analysis of the culinary techniques used with various ingredients and provides inside instruction on everything from basic to startling professional skills. 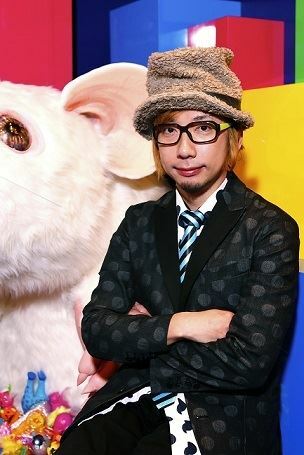 Creator of the art project “TIME AFTER TIME CAPSULE” and vanguard of Japan’s Kawaii culture, Sebastian Masuda, art director of “Kawaii International”, is celebrated for his film, theatre and clothing designs. Mr. Masuda speaks internationally at museums and conferences and often discusses the culture of Kawaii and its impact on pop culture in Japan and around the world. At this year’s J-POP SUMMIT, Mr. Masuda’s interactive “TIME AFTER TIME CAPSULE,” in the form of Domo, will be available for fans to insert Kawaii memorabilia into, which will return to Tokyo to be displayed during the 2020 Tokyo Olympics. NHK (Japan Broadcasting Corporation) is Japan's sole public broadcaster, operating the nation’s largest domestic and international television network. In Japan, NHK broadcasts four TV channels and three radio stations. NHK also transmits two international television channels, NHK WORLD TV (English, HD, 24/7) and NHK WORLD PREMIUM (Japanese, 24/7), as well as international radio services in eighteen languages. NHK WORLD TV reaches over 290 million households in 150 countries and regions via local satellite and cable TV providers. Online live streaming and VOD (video on-demand) services through free mobile APP and the website, give viewers access to NHK WORLD TV anywhere and anytime. You can also connect through Apple TV and Amazon Fire TV. Presenting an extensive range of Asia-centered programming, NHK WORLD is your window to Japan, Asia, and the rest of the world. A Sumo program, “GRAND SUMO Highlights” will start from July. Japan International Broadcasting Inc. (JIB), a subsidiary of NHK, is responsible for the worldwide distribution of the HD English language news/lifestyle program "NHK WORLD TV,” as well as the Japanese language program "NHK WORLD Premium." Currently, the two channels are broadcast around the world on three international plus domestic satellites in their respective markets and reach households, hotels and others via DTH, cable, IPTV and terrestrial broadcast.